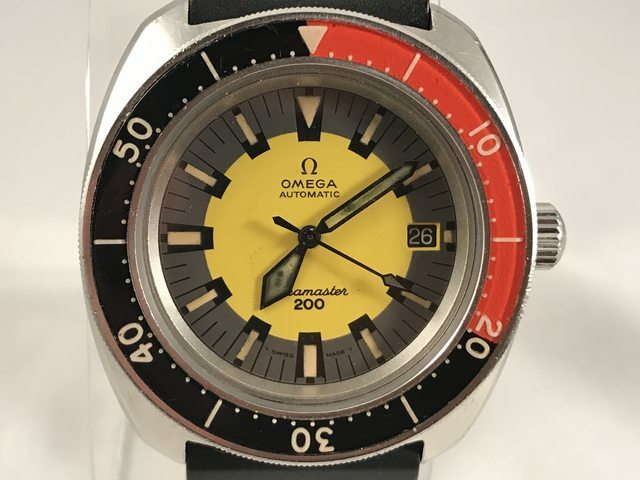 This is a very rare Omega Seamaster 200 Banana dating from 1970. 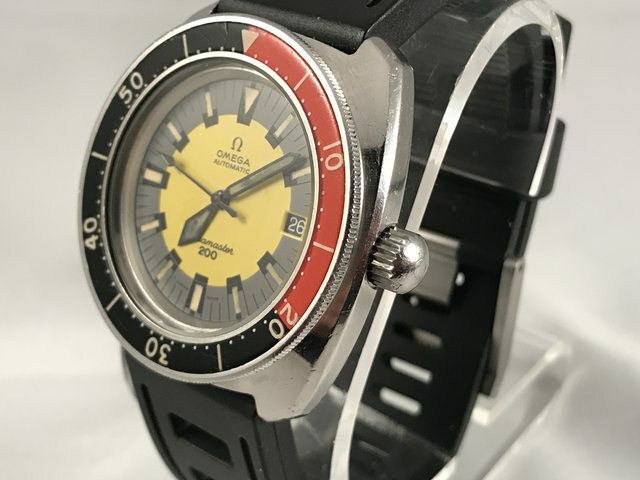 This Omega appears to be in original unpolished condition and showing wear commensurate with a 40 + year old watch. 563 Movement Same as 565 but 7 less jewels. 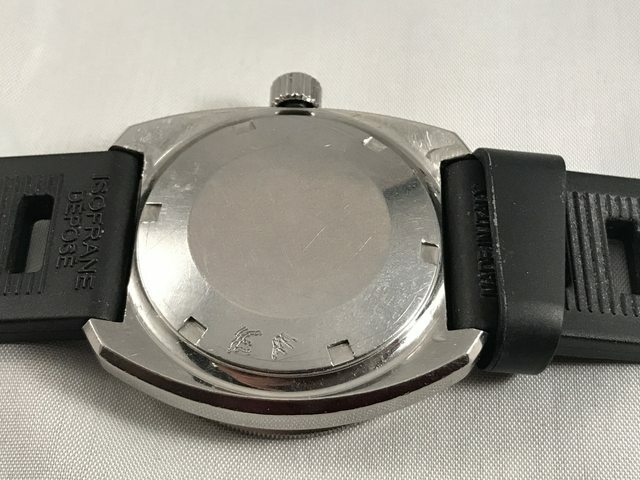 The acrylic bezel is in excellent condition. The hands appear to be original. Watch is running well with the push crown date change working well. 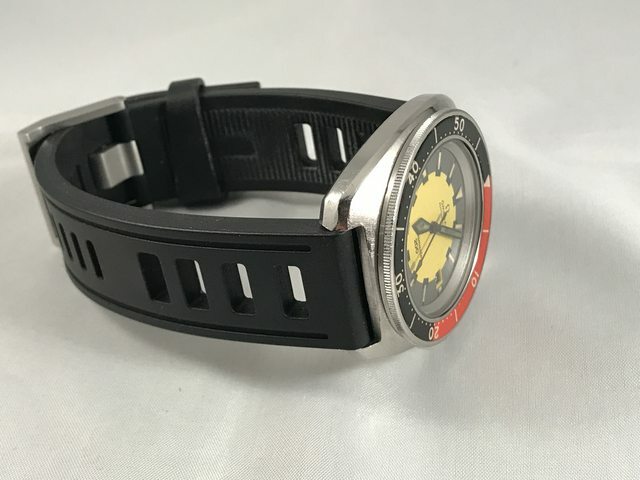 Watch does come with the original and correct 1170 bracelet. 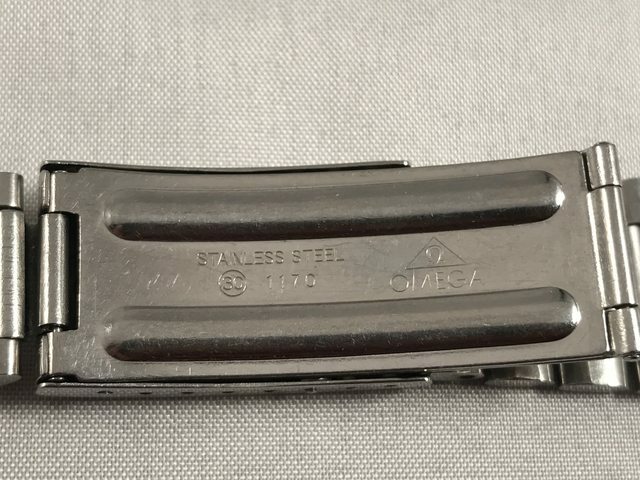 One 631 end piece and one generic unlabeled end piece. 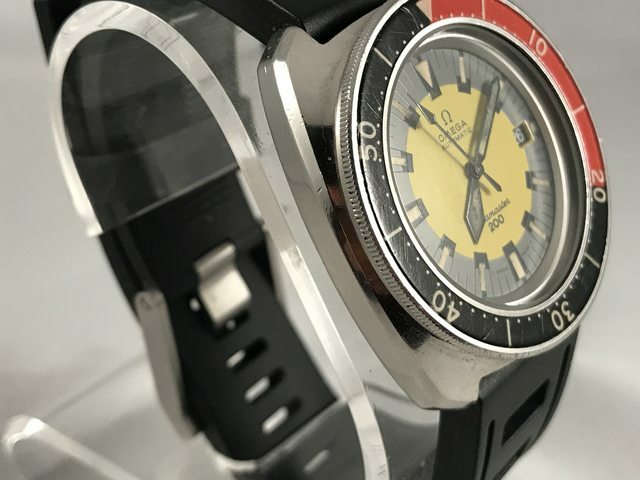 Watch does come on an authentic Isofrane appropriate for a dive watch of this stature.